As the semester draws to a close, the VAV gallery at Concordia has launched its final exhibit of 2012, one which will surely encourage discussion. Queer Partnerships, attempts to look at the different shapes human contact and creative collaboration take, while exploring and challenging the artistic conventions of masculinity, singularity and heteronormativity. To this purpose, the exhibit provides an opportunity for the audience to explore both the artistic process and its product. The Queer Partnerships Collective is a group of students assembled by Concordia professor Erin Silver, in the context of her ART398 class, Significant “Others”: Queer Partnerships in Art & Art-Making. Silver paired the students in her class with an artist mentor from Montreal and Toronto, in order to focus attention on the possibilities of queer artistic collaborations. He plans on scheduling a set number of interventions, affecting the setup of the exhibit and allowing him to analyze how people interact with gallery space. 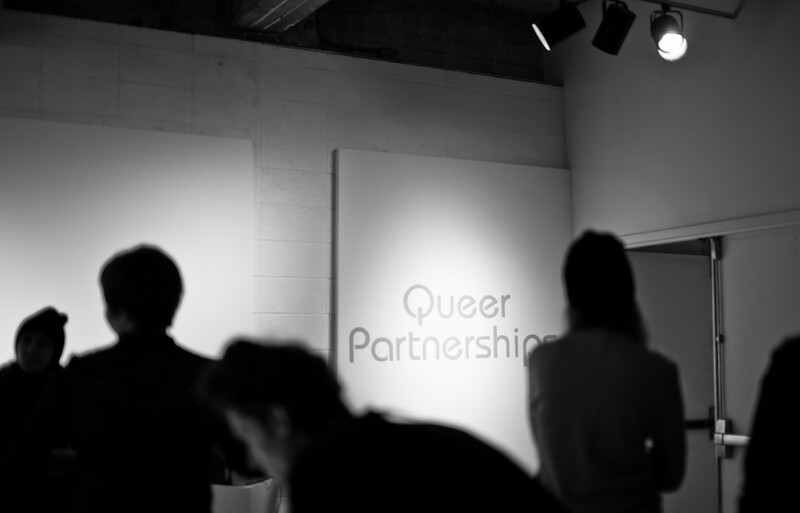 Queer Partnerships is an exhibit that’s expecting a lot of exposure. Its participation in the World Aids Day this past weekend has earned it a lot of attention, both on and off campus. In light of the artists’ engagement in the queer subject matter, this exhibit is, if anything, a great example of how you can use art to advocate knowledge and opinions on given social issues. These pieces are very personal, some even including memorabilia from coming-out stories. Overall, the exhibit has something raw to it that’s very compelling. It says a lot for just how close transparency can bring you to an artist and how it can advocate their overall message, but there’s nothing sleek or finished about it’s showcasing. You’re simply left with the impression that you are peeking into someone’s innermost thoughts, fears and advocacies, their perpetual work in progress.